Crown molding is never out of style, dating back to Greek and Roman architecture, and gives a room an elegant, finished look. 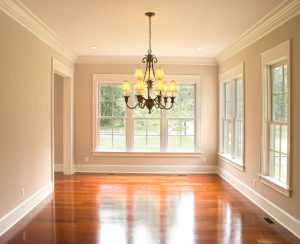 Crown Molding is a large family of molding that flares out at the top forming a triangular shape under the top of the molding. 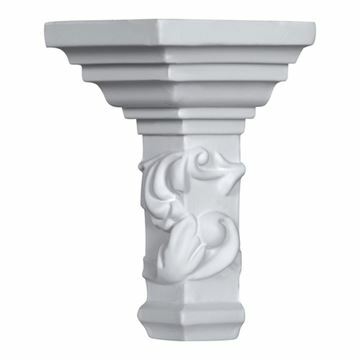 It is generally used to cap walls, pilasters, cornices, and cabinets. Crown molding, or cornice molding as it is sometimes called, is most often used as a decorative border where the wall and ceiling meet. Crown molding is also used to dress up built-in bookshelves and kitchen cabinets, and can be used in combination with other moldings to add detail. There are literally hundreds styles of crown molding. 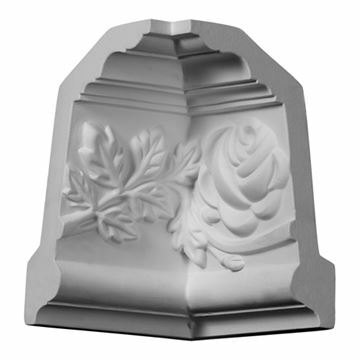 Some classic styles include cartouche, dentil, egg and dart, ovolo, carvetto, rosette, and guilloche. Corners are traditionally cu t on an angle using a miter box or coping saw. Crown molding can also be used with a corner block (pictured above). Inside and outside corners come in many shapes and sizes and give a vintage look without the need of complicated miter cuts. 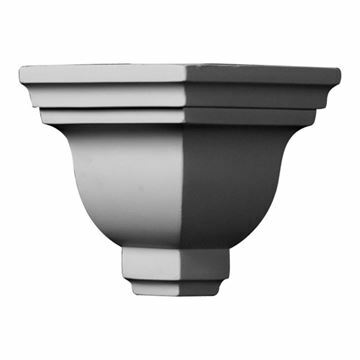 In addition to traditional wood and plaster crown molding, this versatile molding is also offered in a high-density polyurethane product. 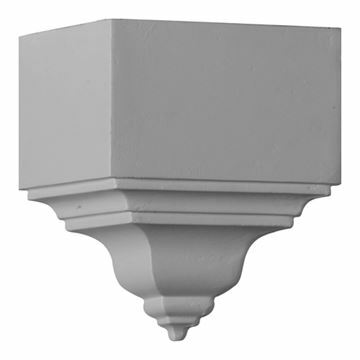 Van Dyke’s Restorers has a great selection of polyurethane crown molding in many patterns and widths. Crown molding is installed with a bead of construction adhesive along the edges of the molding or with small finishing nails. 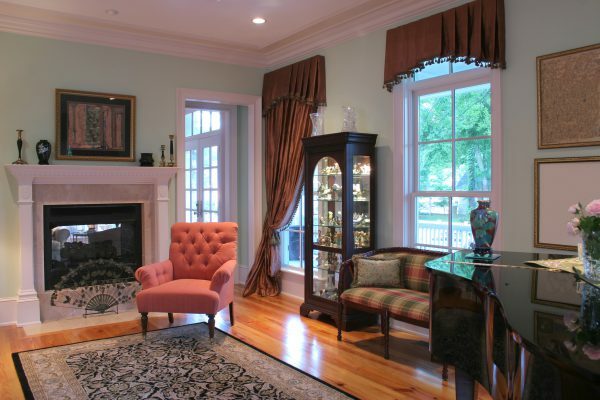 Crown molding is often combined with chair rail, baseboards, or wainscot for an elegant coordinated look.